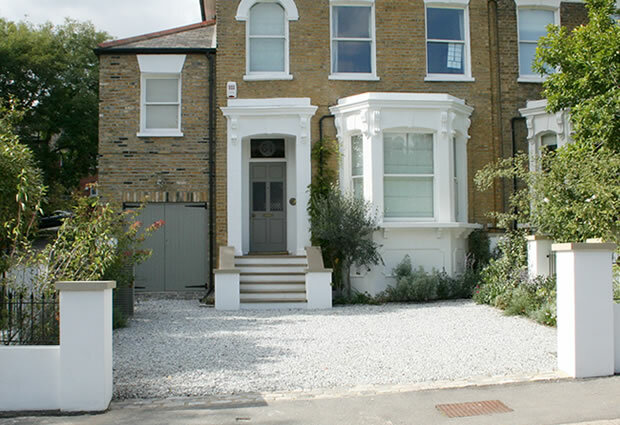 I wanted the front garden design, with driveway and garden having a holistic synergy ; to be a contemporary front garden and driveway space in its own right but still relating to the house and it period Victorian architecture. 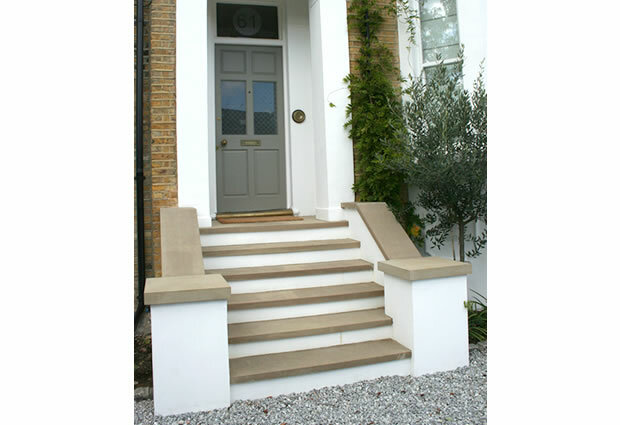 I find railings , gravels , and quality stone , especially York stone can have that effect. 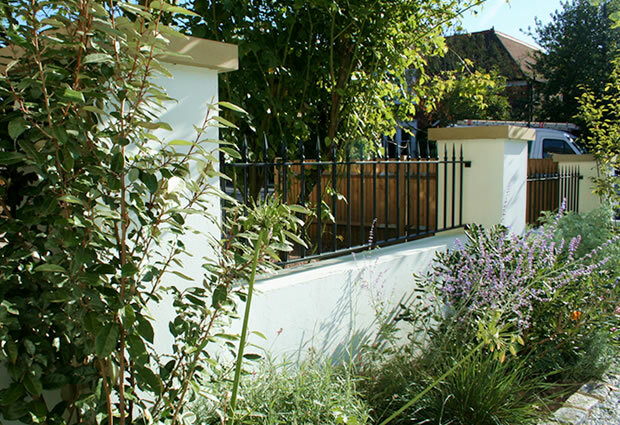 The boundary rendered walls and bespoke garden railings provide a strong fresh contemporary framework introducing strong clean lines. The sawn York Stone pier caps on top creating a link to the staircase and strengthening the rhythm and architectural present of the piers. The contemporary themes tempered with the white limestone decorative gravel and reclaimed granite sets bringing in more rustic elements. 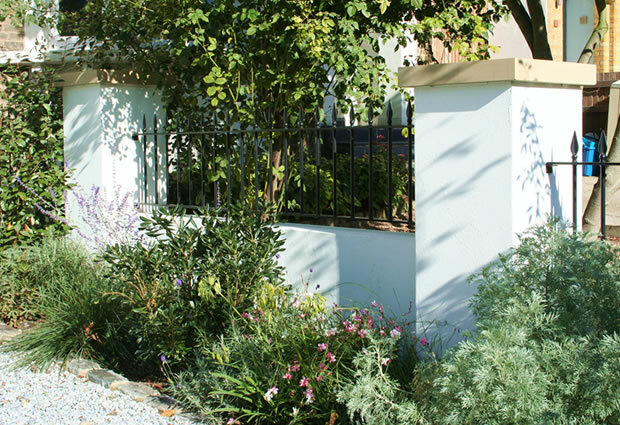 The architectural and mediterranain planting design also light and airy using various perenials and small shrubs defusing the mass, solidity and contemporary nature of the boundary walls and staircase. 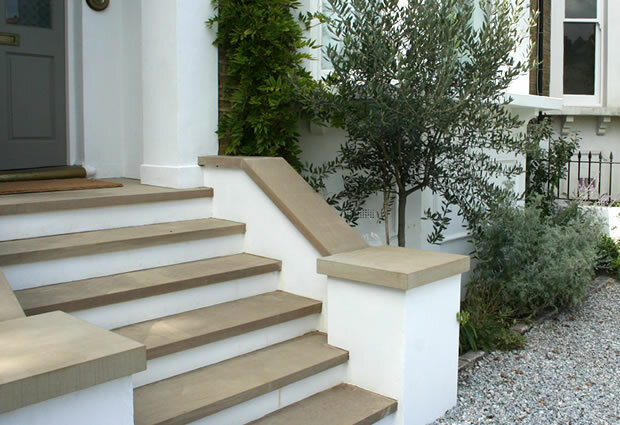 The staircase design was to be kept sharp with clean lines, working the contemporary garden style and themes. I decided to have a pencil round edge to the sawn York Stone staircase instead of the usual bullnose finish as a way to emphasis the more contemporary approach. God is in the detail !! 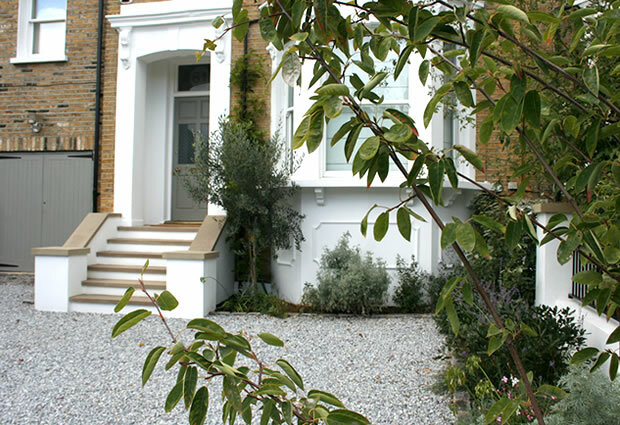 The London landscaping Company can offer you a personal and bespoke service so please feel free to get in touch with us to discuss your project, or arrange a site visit with one of our very experienced and friendly professional garden designers or horticulturist . We can help you to realise your project and explain the process from initial concept , through to design and build.